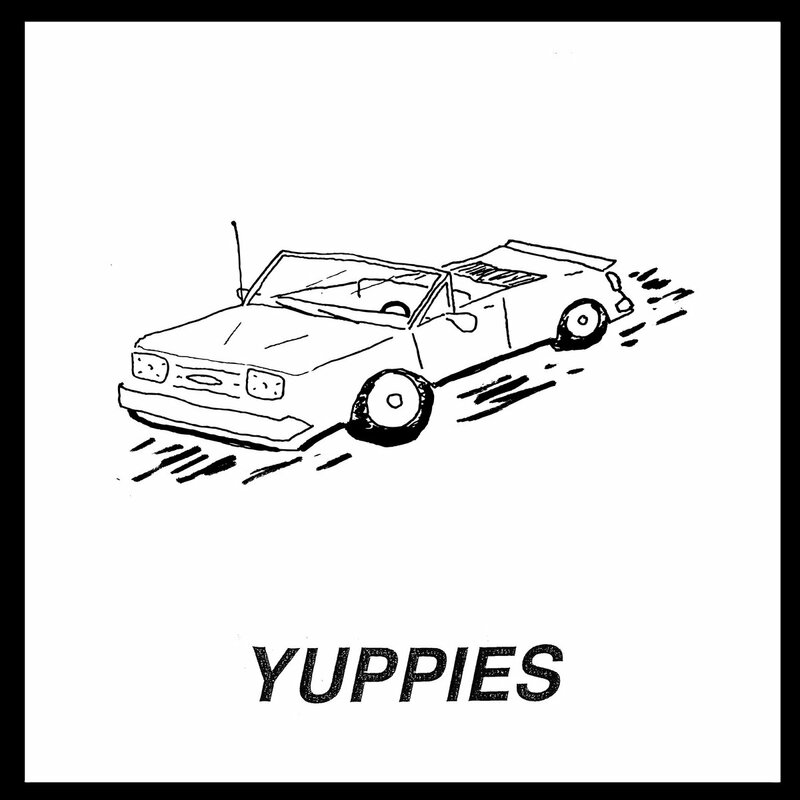 Nebraskan noise punk 4-piece Yuppies' new s/t LP is a very quick, fast and abrasive musical blast to the face. The band has been around since 2007, but this is the first I'm hearing of them. And I gotta say, the first time I listened to this album, I just sat back in awe. From the very weird somber and then suddenly explosive first two tracks to the weird guitar noise that penetrates both songs (and the whole record for that matter), I was just immediately drawn in. Each track provides doses and doses of pure punk strangeness. Every time the band gives you a very accessible moment, they have it immediately followed with something stranger. Yuppies' frontman Jack Begley's odd monotone mix of screams, yells and spoken word is very polarizing at first, but the more and more I listened to this record I fell in love with the man's strange vocals. They fit the incredibly polarizing sounds that the band produces as well absolutely perfect. It's definitely a mind ripping musical experience that I recommend everyone try. Stream it right up above, and buy it if you feel so inclined. Enjoy! Pigeon Breeders - "Oblique Temperatures"
We all know I love my experimental music. It's obvious if you even step two pages into my blog. While I was a bit nervous going into this Pigeon Breeders LP Oblique Temperatures, I came out definitely loving it. The 5 songs that the Edmonton band craft on this LP are incredibly drone heavy, ambient, somewhat calming but also quite eerie. Each song is incredibly layered with noises and sounds that I can't even describe as anything other than creepy. And the thing that drives me crazier is that this band has only 3 people in it. The band makes the walls of sound that I think sound more fit for about 20 people at once just playing sounds. Not 3 guys playing with field recordings and guitar feedback drones. Either way, no matter the personnel used to make this record, Pigeon Breeders still make one of the most interesting and breathtaking musical trips you'll hear all year. If you're a fan of ambient music like Helios, Earth, Godspeed You! Black Emperor, this is definitely right up your alley. It's hard to really go into depth about songs on hear because each track just has a plethora of inventive sounds and noises that I can't fully explain. 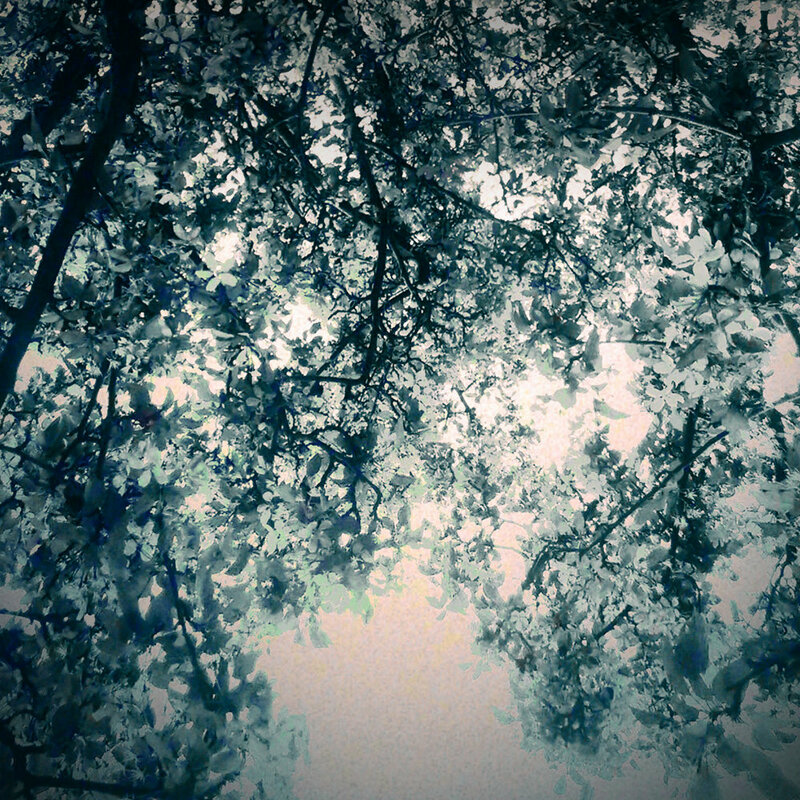 All I know is that the way Pigeon Breeders arranges said sounds and noises is just masterful to no end. There are many ways to make an ambient music album, and Pigeon Breeders just definitely went on a totally different path and made a record that, to me, is fantastic. 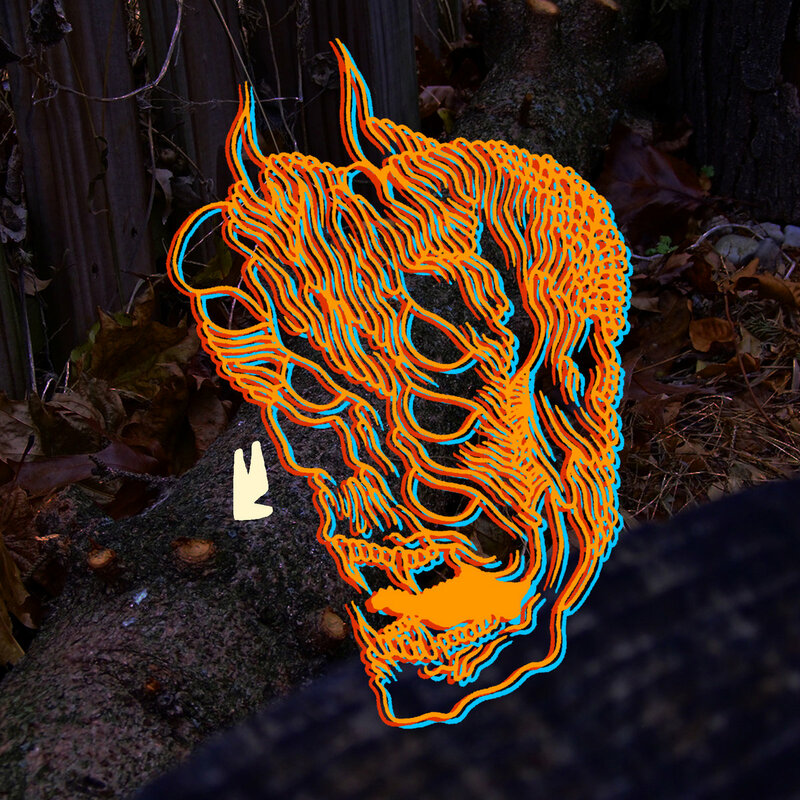 I highly recommend you stream/download the record above and let yourself get tripped out. Enjoy! Monster Bad - "Freak King"
Simply put, I love the new Monster Bad LP. Right off the bat, the album starts off with the incredibly catchy and interesting "SUNY x Overture". The track has this synth in it that feels like something out of a newer Modest Mouse record, and a beautiful amount of vocal layers that make the track just pretty wowing. All the songs on this record are quite emotional and often show a fast and loud punk urgency, but Monster Bad frontman Chris Graci is not by any means afraid to get quite. The very loud and rocking "Manic Pixie Dream Girl" is a very quick burst of manic energy that transitions into the next track, the lo-fi and slightly ambient ""Name Song/Drown", better than a majority of albums I've heard could do. Making these transitions is difficult, but Graci maneuvers them with relative ease. His incredibly well written lyrics and great songwriting seems to tie everything together perfectly. I really can't pick a favorite song off this album, there's just so much that I love I can't really pick favorites. The album is an incredible combination of emotion, rock music, acoustic/ambient moments and a healthy dose of angst. I highly recommend listening to it. You can stream and download it up above. Enjoy! 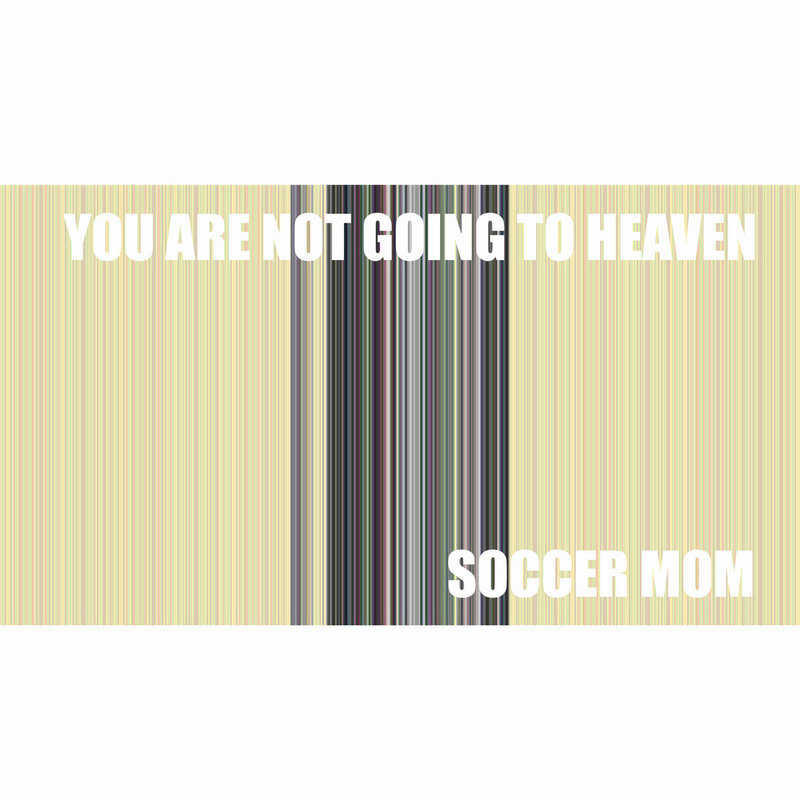 Soccer Mom - "You Are Not Going To Heaven EP"
This is an old EP. It's been out since October of 2011. The reason I wanted to call your attention to it was because a wonderful record label up by the name of Sweaters And Pearls Records sent me a multitude of their vinyl releases, this being one of them. Seriously, it's an incredibly top notch label that puts out some amazing music. Check them out! But on to the music. Soccer Mom makes some very nice and somewhat emotional rock music that is pretty impossible not to love. The unique guitar layering and riffs being played on the first track "(A) Natural History" are ear catching right off the bat. And it helps that said interesting riffs are insanely catchy. Every track on this EP displays a great rock sound. The 4th track "Celebrity Unrest" has some awesome guitars stacked on top of eachother and it just sounds amazingly crunchy. In a weird way, this bands guitar sounds remind me of My Bloody Valentine minus the insanely large amounts of reverb. Lot's of whammy bar, slides, etc. It's all just incredibly well done. This technical ability is mixed with some fairly emotion filled vocals from the bands lead singer. His vocals, while not my favorite, work very very well with the songs that Soccer Mom makes. My favorite track on this EP is easily the previously mentioned 4th track. The crunchy guitars, particularly emotional vocals, and the very fast paced instrumentation make it an incredibly well done rock and roll ride. This EP is pretty darn good, from start to finish. I highly recommend giving it a listen. And if you really enjoy it, be sure to go pick up the vinyl from Sweater And Pearls over here (seriously, amazing label).